Larnaca is steeped in history and is home to architectural remains that date from the 13th century BC. There are many monuments, monasteries, churches, tombs and archaeological sites, it also has a theatre and municipal art gallery. Larnaca was developed towards the end of 1974 after the Turkish invasion on Cyprus. It boasts its own International Airport situated on the outskirts of the city and is used by both passengers visiting the island and travelling between Europe and the Middle East, being used by over 5 million passengers each year. The airport is easily accessed from the town’s A3 motorway which has a junction next to the airport. Larnaca on the south coast of Cyprus, the third largest city after Nicosia and Limassol, has a population of 72,000 and has the island’s second largest commercial port. Larnaca’s economy has been growing since 1975, after the invasion, and the loss of Port of Famagusta and closure of Nicosia International Airport this meant that Larnaca’s airport and seaport had increasingly important roles to the island’s economy. There are more than a hundred educational institutes in Larnaca, and hosts the American Academy. A non-profit school and its core purpose to provide pre-school to university entrance education of the highest standard. 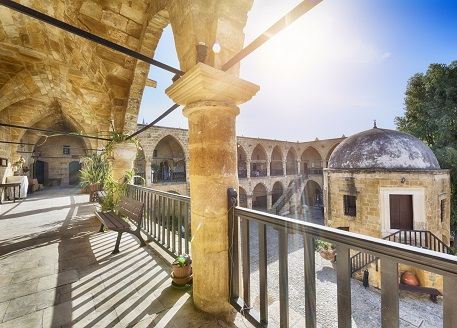 The tourist industry has to rely heavily on a high percentage of visitors returning and is undoubtedly one of the key considerations for investors choosing to purchase in Cyprus. Such is the growth in tourism that today Larnaca has become one of the most popular tourist destinations. Many Brits love coming to Larnaca and now we are witnessing an increase in the number of visitors from all over Europe, Russia and China. Given the increasing cost of the traditional Euro zone destinations such as Spain, Italy and Greece it is likely that the demand for property for sale in Larnaca will continue for the foreseeable future.